With 3 kids we are now sporting the mini van in life, I never thought that I would own a mini van but things change. Since we are always on the go in our mini van, someone always needs a drink or a snack when we are out. 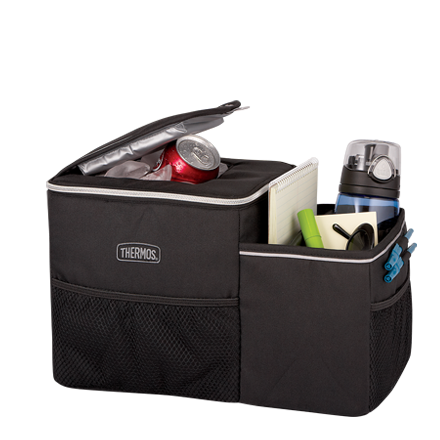 Thermos makes a Insulated Front Seat Organizer for all of our snack needs. It has been very handy and like it in the black. We have used it many times and often wonder what we did without it, isn't that how it always works? The Front Seat Organizer has an insulated "ice chest" like part and a separate part to put things like your sunglasses, wallet or other odds and ends. 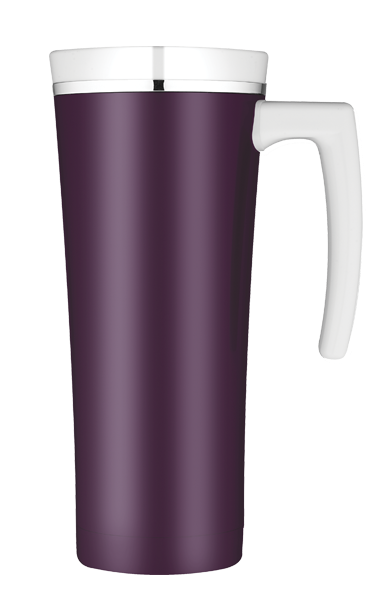 And for those cold days when I need a warm drink for myself I like the Sipp™ Plum Vacuum Insulated Travel Mug. It is nice, sleek, keeps your drink nice and hot and it's PURPLE! What other item from Thermos would you like to have? *Limited to US residents; 18 years old and above. Giveaway starts December 14, 2011 and ends on December 20 , 2011 at midnight PST. Winner will be emailed and has 48 hours to respond before another winner is selected. I was not paid for this giveaway or post. The opinions on this item are 100% mine and may vary from others. The sponsor is responsible for providing the prize. i also like the LOVE Thermos® Threadless® Hydration Bottle. I'd also like to have the Thermos Geo Trek 48 Can Wheeled Cooler. Thanks! I would love the Black Print Diaper Tote! I would like the Market Basket. I like Thermos on FB as kristi Hayes. GFC follower of Frugal Family Tree. 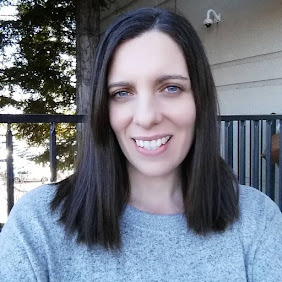 I like you on FB as Kristi hayes. would love to try the Geo trek Wheeled cooler, but wish it came in a different color... don't like the orange black they are showing... even plain black would be great! like thermos Brand on FB! Would LOVE their market basket as well! I love the Market basket or the Blue Back Seat Activity Center. I like Thermos on FB. I follow via GFC (vadebby). I follow Frugal Family Tree on FB. I Like Thermos Brand on Facebook - emillie rose. I Follow Thermos Brand on Twitter - hisprincess886. 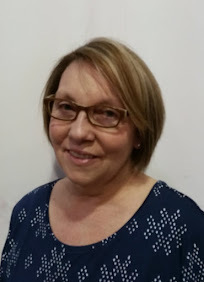 I Follow Frugal Family Tree on GFC- emillie. The back seat organizer would be great for my tween to keep all her stuff organized. I can wish can't I?